Update Your Plan: You May Need It Sooner Than You Think. As managing partner of GGG and the Turnaround Authority, I get the pleasure of providing guest posts by our other partners. The following post is by our Partner, Vic Taglia. My 93-year-old mother-in-law fell and broke her hip six weeks ago. Her surgery was successful, and she avoided most complications; now she is undergoing physical therapy in a rehab center in Atlanta. Until the accident my mother-in-law was mostly self-sufficient and protected her privacy, but this accident has forced my wife to get involved in my mother-in-law’s affairs. We are now familiar with Medicare, supplemental Medicare, rehab time limits, rehab centers, assisted living facilities, skilled versus unskilled nursing homes, Veterans benefits, etc. We have discovered that my mother-in-law has 21 bank accounts at five different banks and doesn’t trust direct deposit for her Social Security check. We located what seems to be an operative will – from 1982. Her family has had several changes in the past three decades (whose hasn’t? ), and the old will doesn’t match what she has described as her current desires for at least the last decade. Fortunately, my mother-in-law has time to fix this: we have an appointment with an estate attorney next Thursday in the rehab center. Yes, I found an attorney who makes house calls. Obviously, you should review your estate plan periodically: every five years is a good idea and more frequently if your life situation changes. In business, however, you have many other plans that need periodic review. When was the last time you tested your off site computer backups? Not just to see if the data is backed up, but have you tried to use the back up data to see if it really works? I bet there are some businesses in the northeast that wish they had tested the water resistance of their backups before hurricane Irene. Really, who in Vermont would think that a hurricane would cause them a problem – and that is exactly the point. You need to think about the unthinkable. What about your financing plans? How stable is your bank? Can you rely on it for continuing financing in these tumultuous times? Will you find out one day that your bank has all the real estate/manufacturing/service business they need and they would love to see you take your business elsewhere? Nothing bad about you – they just want to move in a different direction. What about your professional advisors? Have you met your lawyer’s partners? Your CPA’s? Your financial advisor’s? Are you comfortable with them? Do you have confidence in them? I have seen several cases in which the unexpected death of a lawyer or CPA caused significant disruptions in a client’s business. So think about the what ifs and prepare a plan to counter the unexpected. You may not be as fortunate as my mother-in-law. 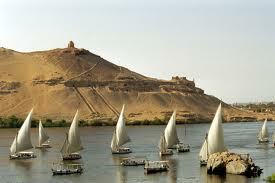 De Nile – A River in Egypt or a CEO’s Final Resting Place? In my post a few weeks ago about how to treat your bankers, creditors and vendors, I advocated telling the truth. As important as it is to tell all of these people the truth, it is even more important to tell yourself the truth. I recently came across a company whose bankers have expressed some discomfort in their situation (no names here obviously). The loan balance has declined, and the bank wants to continue to reduce its exposure. In recent memory, the company has not satisfied its debt service coverage covenants, but the loan document has been extended on a short term basis. Since the principal owner describes his industry as “declining” the only growth will be through consolidation. Moreover, the company has exhausted its balance sheet reserves, even to the extent of taking some tax positions that will improve its book equity, but cost it millions of dollars in CASH over the next several years. The principal owner/CEO stated that he had made some significant spending cuts, and that this year will be better than last. His projections show a slight decline in revenue with increasing EBITDA, but still not enough to cover its interest expense. When I looked through the financial statements I noticed that payroll in some operating areas had indeed fallen by about the amount revenues had fallen, but payroll in the sales and executive departments had increased. I also noticed a monthly payment for a luxury sports car’s financing company that matched the make in the CEO’s reserved parking spot. The CEO said he had a new, more expensive model on order for summer delivery. The CEO said everything was fine; he had his business under control, and he had a wonderful, long-term relationship with his lender, even though his new loan officer needed some more time to understand his business. Without significant changes in his mindset and the business’s operations, the bank will continue to ratchet down its exposure. There will be fewer operating accommodations, more reporting requirements, more onerous covenants and certainly no financing for acquisitions. He will be the acquiree, not the acquirer. It’s quite likely that he will find himself out of the business and out of a job within 18 months. While it is important to maintain a positive attitude for your family, employees, vendors and creditors – after all, hope is extremely important – it is also important to face your reality, especially when the chips are down. You can talk to your trusted advisors — lawyer, accountant, even a banker — to share your concerns and fears and more importantly to chart a course of action to rehabilitate your business. But when your advisors can’t help, call us, and face the harsh reality rather than board De Nial River Boat Cruise to self-destruction. Bankers and business owners can have trouble communicating because their mind-sets are different. As someone who began his career as a banker and who has spent the last 30 years doing interim-CEO turnaround management, I understand the banker’s mindset while having profound insight into what makes businesses run successfully from the top. Most of my day is spent playing “Let’s Make a Deal:” negotiating with lenders, creditors and bankers in order to get CEOs and their businesses new terms that allow continued operations. In my experience, it’s particularly difficult for these two groups – business leaders and bankers – to understand each other because they’re coming from such different places and have seemingly different priorities. Part of the process is helping both sides see that they’re in a partnership. Both bankers and business owners want to see the business continue to run because that’s the most likely way for the bank to recoup its loans and eventually see profits, and its the only way that the business will turn from debt to profit. Thus, as a business owner, you should strive to understand how your banker thinks – and why he thinks that way. This can have a positive effect on your relationship and make it easier to get money when you need it. I present to you, then, “The CEO’s 10 C’s of Borrowing,” which will help you become a better borrower, enhance your relationship with your banker and make money more available when your business needs it most. 1. Character is of the utmost importance to bankers. Bankers need to know you’ll do the right thing when your company is in distress. If they can’t trust you, they can’t put money in your hands. That doesn’t mean fake good character – it means have and demonstrate good character. 2. Carelessness comes down to poor record keeping. Carelessness can also hurt your bank by causing it to write-off loans needlessly or even lose its federal loan insurance such as SBA Guarantees. Run your shop well, which includes good book-keeping practices, regular audits, competent comptrollers, and mixing up your monitoring practices. Not being careless also means verifying for yourself the details of your business’s financial situation. 3. Complacency is not an asset. Banks are interested in how you react to tough situations. Don’t just tell them what you’re legally required to when they ask; keep them updated to avoid surprises. Bankers hate surprises. This is all a part of the larger principle of being proactive rather than reactive. Proactive business owners keep their banks apprised of the situation, which makes their banks more likely not to react to unfortunate circumstances by demanding payment on loans. 4. Contingency Plans are key for orderly succession if something happens to you. Bankers value stability, and even though many business owners think they’re invincible, history has proven otherwise. If your bank knows what will happen in the event that something bad happens to you – like disability or death (God forbid) – that’s comforting to them. If they know what will happen to your business in the event of various catastrophes, they’ll continue to work with subsequent leadership. It’s also wise to introduce your banker to the future generation of leaders at your company. Have contingency plans. Nothing works out like your spreadsheets suggest. 5. Capital is your net worth (assets minus liabilities). Bankers want an extra cushion of equity so they can be more flexible with your company in case it has a bad year. A CEO and a banker need to balance one another’s needs in order to maintain sufficient capital. I sometimes find that telling entrepreneurs, owners and CEOs to keep extra capital around is like telling a dog to save part of his dinner for later, but if you can show your banker that you’re capital-wise, he’ll be more likely not to call your loan after a bad year. 6. Collateral is a bank’s leverage and makes bankers feel more comfortable. Collateral does not repay a loan, as many entrepreneurs think when they pledge their assets, but again, it does ease the banker’s mind. 7. Capacity is your ability to repay. Bankers check to see if you have champagne tastes but a beer wallet. If you seem like you can repay what you’re asking for – which is to say, a reasonable sum and not your dream loan – you’re more likely to see the money. Shoot for the stars in life, but a bank loan is a different matter. 8. Competition works to your advantage. Banks are concerned about their competitors’ interest rates, collateral packages and guarantees. You can use this to your advantage by doing your homework when seeking a loan and making that clear to your banker (though no one likes to feel threatened, so be courteous about this). Knowing about your bank’s competition can also let you prepare for a quick capital search should your banker pull out. 9. Controls are your built-in monitors. Bankers want to know about your company’s controls. Do you have checks and balances for payroll clerks, controllers, CFOs, and inventory personnel? Do you watch the back door? Outline the steps you take in your plans and conversations with your banker; ask for his recommendations. If you find an issue, correct it and then update your banker that you’ve fixed the problem. Almost every one of these tips hinges on communication. Don’t keep things from your banker. If he knows what’s happening he can work with you instead of against you. Work with your banker for the best relationship. With “The CEO’s 10 C’s of Borrowing” in mind you’ll be better equipped to understand where your banker is coming from and not get frustrated when things don’t seem to go your way. Talk with your banker and try to understand him. It will only be to the benefit of your business. Which of these have you found useful or true in your experience? Let us know in the comments.